Legendary bluesman and guitarist B.B. King called the blues the “mother of American music” and, although the people who have given this artform its varied and power voice have followed many paths — rockabilly, Zydeco, jazz, R&B, funk, swing — the blues unites them all. 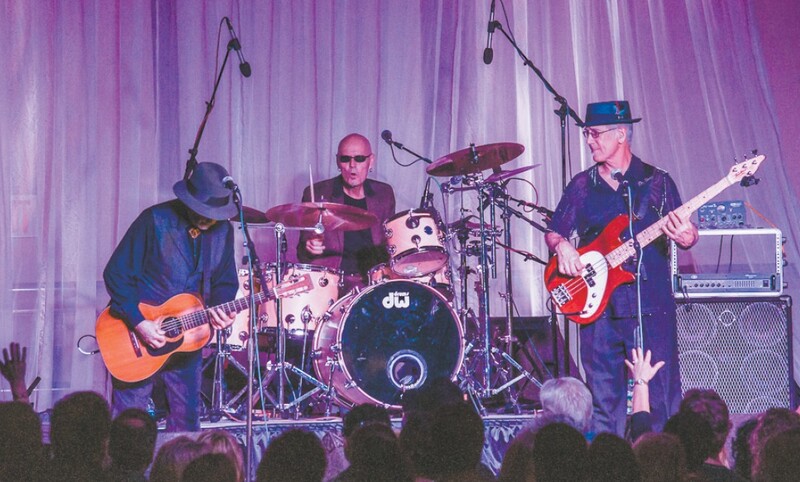 Experience a range of what the blues can be in a single weekend at the ninth annual Coeur d’Alene Blues Festival: cruises, concerts, special location parties, even a gospel brunch. Start your blues-y weekend with free musical performances Friday, March 23. Book a two-hour BLUES CRUISE, followed by the (free) after-cruise party in the RESORT PLAZA SHOPS. Tickets $25; Boarding at 7pm. Saturday, get up and party on the COEUR D’ALENE RESORT’S rooftop. Tickets $5 or complimentary with festival wristband. Take in free music at WHISPERS or book a 90-minute, all-ages BLUES CRUISE. Tickets $10; Boarding 12:30 pm and 2:30 pm. Then from 4-11 pm, be prepared to be blown away by five bands and two stages at THE RESORT CONVENTION CENTER. Tickets $39. Seven hours of music from some of the best blues bands in the region, including five time Grammy nominee Marcia Ball. Call 855-379-5478; cdaresort.com for details. Come Sunday, feed your spirit and your body with a GOSPEL BRUNCH at DOCKSIDE RESTAURANT from 9 am-2 pm or take your nourishment on the water with a final BLUES CRUISE SUNDAY BRUNCH. Tickets $60. And if missing any of the amazing acts leaves you feeling forlorn, consider a two-night overnight stay package. You’ll also get two passes to Friday’s cruise, all of Saturday’s festival entertainment and either Sunday’s brunch or cruise. Starting from $450. Call 855-379-5478; cdaresort.com for details. It’s an age-old argument, the beer vs. wine debate. Castaway Cellars is hosting an evening to see who will come out on top! Enjoy seven delicious courses paired with five Castaway Wines and five Founders Brewery Beers. Tickets: $125; 6 pm; Castaway Cellars; for reservations and to purchase tickets, call 208-819-1296. This two-day market is more than an antique or craft show — it will feature thousands of upcycled, revamped items from carefully selected (juried) vendors. Think vintage with a modern twist, farmhouse style, and shabby chic with some industrial mixed in. Admission $5 Saturday or $10/weekend; Friday, 6-9 pm; Saturday, 10 am-4 pm; Kootenai County Fairgrounds. Buy your tickets online at rebeljunk.com/schedule. Bust a gut at back-to-back Comedy Nights at the Coeur d’Alene Inn. Each night features two comics. Friday night, Andrew Sleighter headlines. You may remember him from Last Comic Standing, Conan or Comedy Central. Saturday features Bengt Washburn who has also made appearances on Conan and Comedy Central. Tickets $17.50; Doors open at 7 pm, show starts at 8 pm; Coeur d’Alene Inn; Call 208-765-3200 for tickets and room specials.